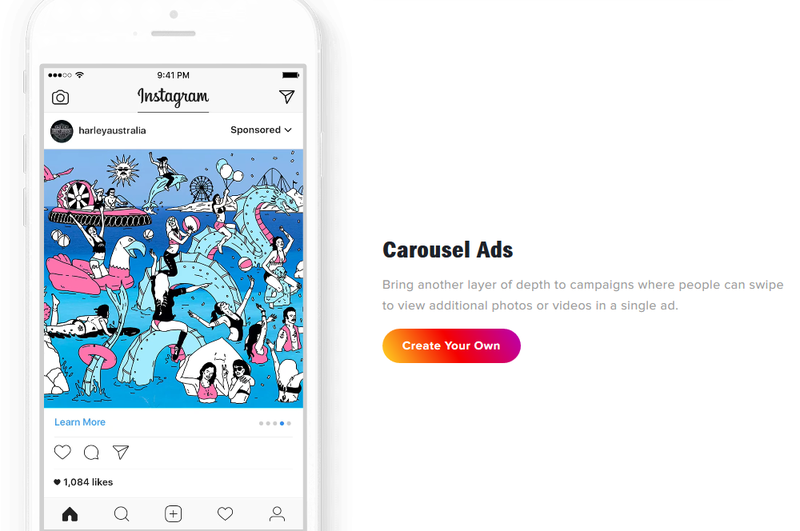 To round out our series, we will take a brief look at advertising on other leading social media platforms: Instagram, Pinterest, and Snapchat. The rest of this post will give you an overview of how to start using social media marketing to connect with audiences on these popular platforms. Single image that appears in a user’s regular news feed. Single video that appears in a user’s regular news feed. Carousel series of scrollable images or videos that appear in the news feed. Instagram story ads or sponsored stories that are shown to users as they view a series of stories from accounts they follow. As you approach Instagram, keep many of the best practices for Facebook ads in mind. Use the same hypertargeting to connect with your ideal audience. And, focus on using compelling images that visually convey your message and story. Another visual platform that presents an opportunity for social media ads is Pinterest. Like Instagram, the Pinterest platform is built around images. Unlike Instagram though, Pinterest is a platform doesn’t rely heavily on real-time newsfeeds. Pinterest is slightly different from many other social sites in that posts on this platform often have a “long life.” In other words, a pin you post is likely to be viewed by users for weeks, months, or even years. This is unlike content on other social platforms that is often hidden and outdated in a just a few hours or days. So Pinterest is an excellent platform for social media ads if you want boost initial interest in your posts with the goal of creating long-term value. You can promote pins so they attract paid attention and later gain more organic reach. 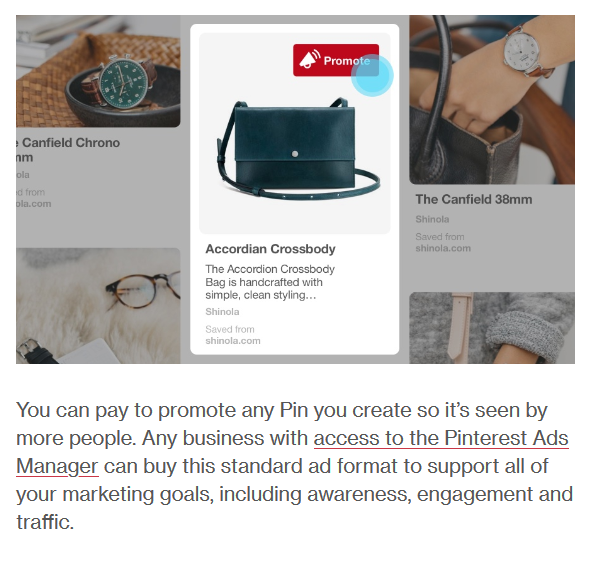 Pinterest ads are also categorized based on goals. They are helpful if you have the following objectives. Awareness: You want to get your brand in front of new audiences. Engagement: You want to encourage users to engage with your Pins (by re-pinning or clicking). Traffic: You want to drive people from your Pins to your website. App Installs: You want to get more people to install your app. Like other social media ads, Pinterest advertising relies heavily on sending the right message to the right audience. You can use hypertargeting to connect with your most desirable audience. As you build out your Pinterest social media ads, focus on using best practices when it comes to targeting. Also, put a strong emphasis on choosing the right images for your pins. Use compelling images that have a vertical layout and a 1:3.5 aspect ratio. The last platform you may want to consider for your digital advertising plan is Snapchat. When it comes to social media, Snapchat is very popular with younger audiences. While the age of their users is rising, most of Snapchat users are under the age of 35 making it a good platform for connecting with millennials. If your target audience is of a younger generation, Snapchat could be the place to reach them. You have three advertising options on Snapchat. Snap Ads: Snap Ads are 3-10 second video messages that resemble a traditional Snapchat post. They promote your message and display it to audiences as they view snaps from their friends. This ad method is used for driving traffic to a website, collecting contact information from audiences, encouraging users to install an app, and presenting videos to audiences. Filters: A filter is an overlay that users can add to their Snapchat posts. 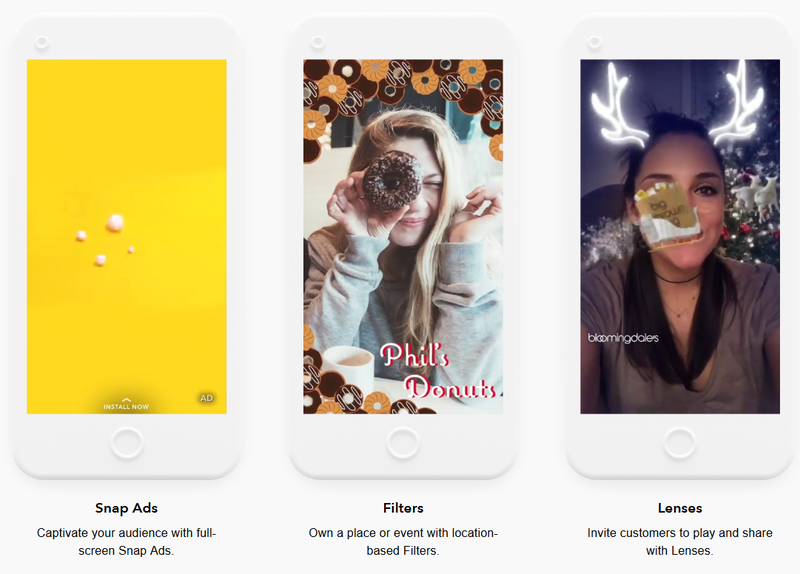 With filter ads, you can create your own custom filter and set it to a specific geolocation so Snapchat users in that area can add the filter to their posts. The pricing for this varies by the size of the location you select. Lenses: A lens is a type of live filter that users interact with when their camera is turned on. This is one of the most interesting and fun ways to advertise on Snapchat, but it comes at a significant cost. Typically only very large brands are able to utilize this advertising channel because of the expensive pricing. For most business, Snap Ads will be the place to start advertising and testing on Snapchat unless you already have a big budget to work with. Ads on Facebook, Twitter, LinkedIn, Instagram, Pinterest, and Snapchat can all help you find social media success as you stand out from competitors and get your messages in front of your target audience. But, for social media ads to do more than catch attention, they must be tied to a larger digital marketing strategy. Social media ads must be connected to a holistic online marketing plan that includes attracting attention, educating audiences, collecting leads, and converting prospects into buyers. To find out how to use social media ads to support a full digital strategy — grab our free ebook that outlines what you need to build a plan from start to finish.